From 2008, the Belgian State started a large investigation aiming at different struggles – but always without concessions – against detention centres, borders, prisons and the world of authority and exploitation. 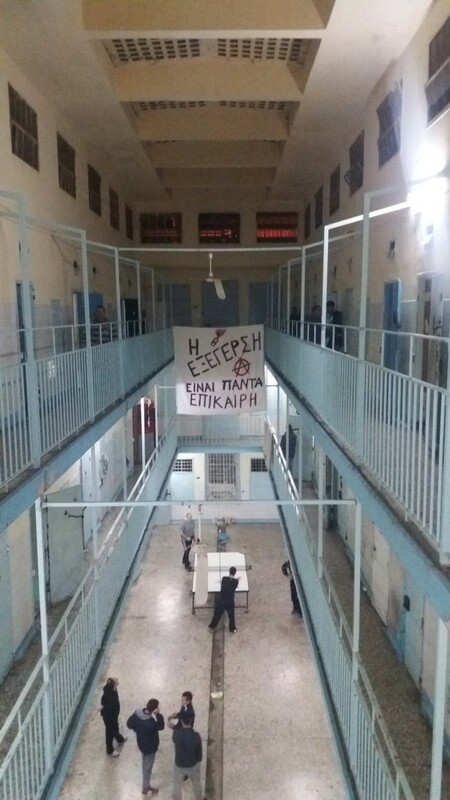 In its viewfinder: the anarchist library Acrata, anarchist and anti-authoritarian publications (Hors Service, La Cavale and Tout doit partir), dozens of flyers and posters, more than a hundred actions, attacks and sabotages…in other words the fight against Power in all its different expressions. Indonesia: From the Anarchist Individualist Network of Yogyakarta to comrade Mikhail, all Anarchist and Anti-Fascist in Russia! As the ruling party, the Democrats and their Bureau of Prisons are responsible for the conditions in federal prisons and everyone being held hostage inside of them. They profit from the labor of prisoners and contract with countless companies and industries that do the same, while prisoners earn as little as a few cents per hour. 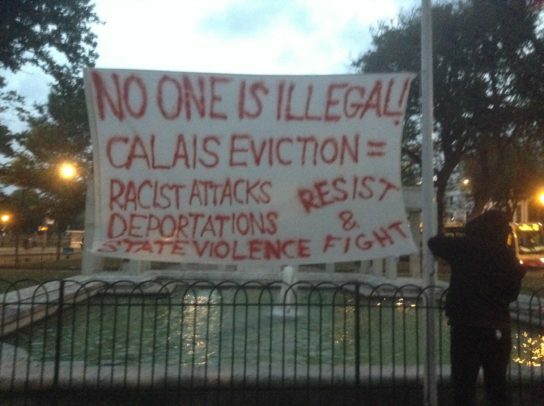 FREEDOM FOR THE ANARCHIST 3 FROM WARSAW! 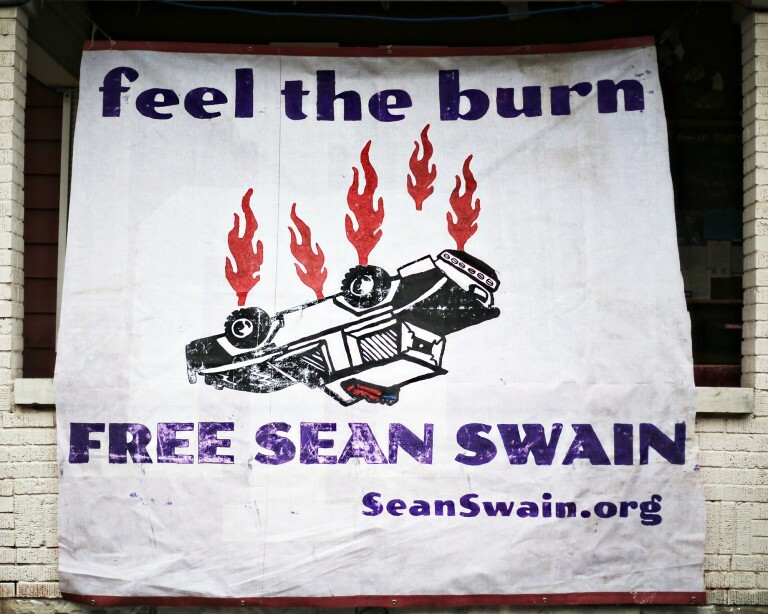 In the second half of August 2016 we hung a banner in solidarity with Tadek, Oskar and Michał – the Warsaw 3 anarchists arrested on suspicion of trying to set fire to a police car. 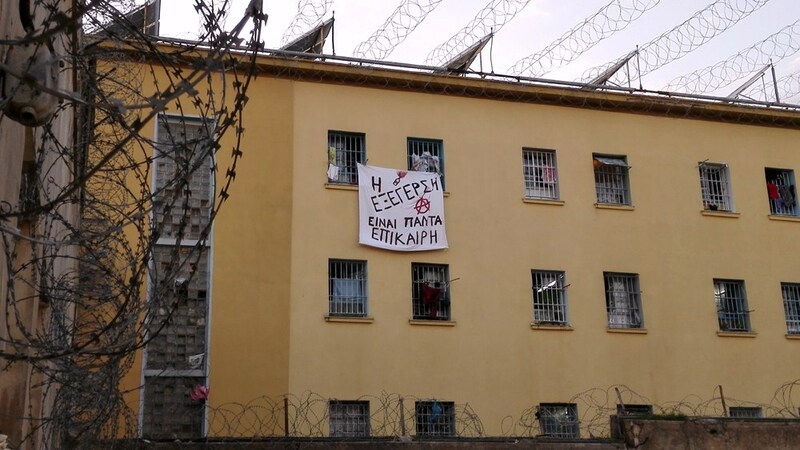 This was a minimum gesture as part of the International Week of Solidarity with Anarchist Prisoners. 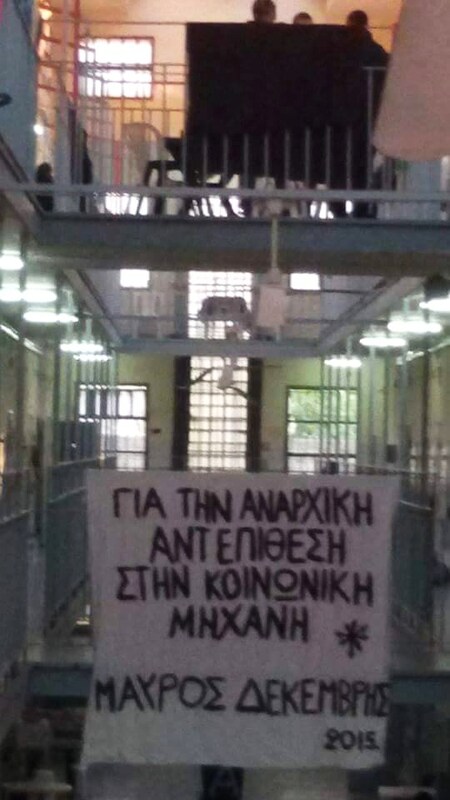 As a contribution to the international call for solidarity with the imprisoned anarchist comrades (August 23-30), and as a denotation of support to the recently arrested and imprisoned comrades K. Sakkas and M. Seisidis, we hung 2 banners and wrote slogans in Athens, and we hung a banner in Volos. Everyone take to the streets!